Railpictures.ca - colin arnot Photo: GE 23T box cab with Sask Power (ex Canadian Utilities) power generation car are on display at the Saskatchewan Railway Museum. | Railpictures.ca – Canadian Railway Photography – photographie ferroviaire Canadienne. 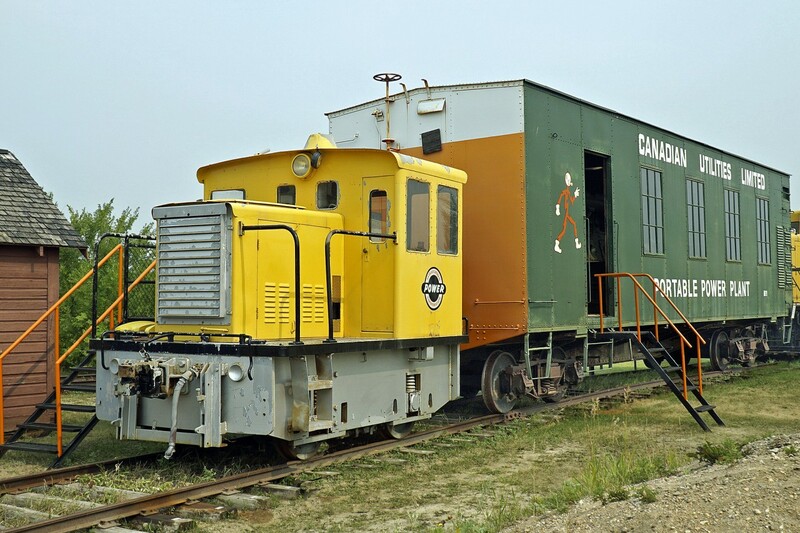 Caption: GE 23T box cab with Sask Power (ex Canadian Utilities) power generation car are on display at the Saskatchewan Railway Museum.